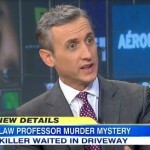 Dan started off the week joining the Good Morning America team on Monday, July 28th to discuss the latest details in the mysterious murder of Dan Markel, the law professor from Florida State University. Markel was shot and killed in his home leaving police baffled searching for any leads. New details emerging reveal that it seems Markel never stood a chance. The killer apparently had been studying Markel’s patterns of behavior, waiting for him to pull into his driveway, firing a single shot in the driver’s side of his car and killing him. Markel was still alive when cops arrived that morning, keys in the ignition before being pronounced dead. As more details emerge police attempt to put the puzzle together. 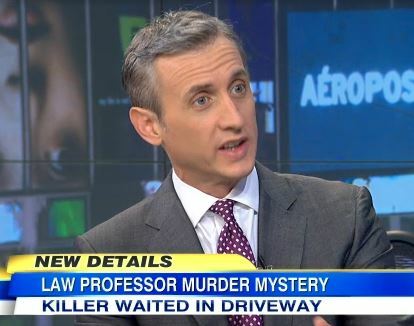 Says Dan, “Well, now we know why the authorities so quickly came out and said neighbors, don’t worry, this is not some random killer out there. It’s the little details, the lying in wait, the neighbor’s account, where the bullet was fired, that makes them think this was a targeted hit. I’m particularly interested in the car, the make of the car. You’ve got a Toyota Prius here, what hit-man is environmentally sound? … It’s a clue the authorities are going to look at. They’re going to look at that, say to themselves, wait a second, this maybe is more likely to be someone in the university community.” Watch the full clip here.